In a hilltop meeting room overlooking stunning San Sebastian in early 2016, TechTown’s Lead Expert Alison Partridge and I told our new, fresh URBACT network of 11 European cities that we wanted them all to come on a study visit to Tallinn (Estonia) in 12 months time. Cue awkward silence… and only one or two cities thinking this sounded like a good idea! Fast forward to May 2017, a full year of the URBACT TechTown Action Planning Network later, and perhaps we weren’t so crazy after all. For anyone who doesn’t know, Estonia is an amazing example of governance-led digital ecosystem development. The country is one of the founding D5 countries, an alliance comprised of the UK, Israel, New Zealand, South Korea and Estonia. And it is, as far as we can tell, one of the only countries with a digital residency programme. Yes you really can become a virtual citizen. So far so Sim City? To understand what makes Estonia digitally ‘tick’ it’s important to understand a little of the background to their innovative e-governance model (ie providing services via digital platforms). With few legacy systems to integrate since independence from the Soviet Union in 1991, and a preference for a light touch governance approach, Estonia has been able to not just instigate new, digital systems but crucially to get buy-in and take-up from citizens. There is a lot of trust required to host so much online – trust between citizen and state, trust between users, and trust in the systems that power them. This e-governance approach and deep understanding of the benefit of good data and system integration has provided a backbone of habit, skills and opportunity for the digital startups and the ecosystem that has emerged around them. They’ve some significant success stories – just look at all the international networks, URBACT included, hitting up Skype on a regular basis. Skype is a huge worldwide success that emerged from Tallinn. There’s a lot said about the E in Estonia but what became apparent during the #TeamTechTown study visit was that actually the physical places and spaces, and the people creating the buzz, were an essential part of the ecosystem. Tallinn is a small city – just 400,000 residents in an area of 159.2 km2. Yet there’s a real liveliness to the small, medieval centre that is untouched by modernisation on the surface. Get behind the heavy wooden doors and stone staircases of the tourist friendly frontages though and you unveil workspace, incubators and accelerators. 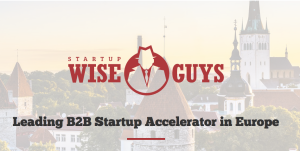 Our visit to Startup Wiseguys afforded partners the chance to meet and talk to some of the startups making their way in Tallinn as well as the teams helping them on their journey. The startups were comprised of entrepreneurs from across Europe and beyond participating in a competitive entry accelerator focused on solving industrial services challenges. 1. TechTown Lesson alert: The clear message from the Startup WiseGuys team was that it’s no longer enough to just run an incubator or an accelerator – you need to think about a focus for it. What kind of problems are you aiming to solve? Is it software? Hardware? Artificial Intelligence? What industry or services are impacted by the startup ideas? We got to listen to a range of pitches from the startups being supported here. They were at different stages of their startup journey, with some more confident than others but they talked about themselves, their ideas, and their goals clearly and articulately. It wasn’t hard to imagine them pitching to investors and taking that next leap to scale their companies. 2. TechTown Lesson alert: Reach out widely to find the right entrepreneurs for your accelerator or incubator. People from outside of the area, including from other countries, can bring fresh ideas and skills into the mix. Look out for the unusual suspects! Whilst the city centre is an architectural and historical gem, the TechTown team also headed outside of the city walls to a more unusual venue which is proving to be the go-to destination for creative, cultural and digital startups – and will be the venue for the upcoming URBACT Festival. 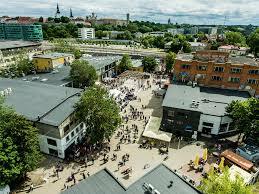 Telliskivi is a ‘creative city’ on the edge of Tallinn’s centre. A rolling project of regeneration, owned and managed entirely by the private sector, is transforming this former railway factory into a hub with everything from theatre and music to artisan food. Set within it is Lift99, a co-working space helping forge the new generation of Skype type companies. The story of the regeneration process is at once an inspiring one but there were some real cultural challenges in understanding the model. The whole project is led and funded through a private business led by Jaanus Juss, a determined and experienced business leader with a clear vision. It was incredibly powerful to see how much had been achieved, but the model left some questions about the lack of safeguards normally provided by government. Regeneration can turn property values around; is a cultural destination always going to be the priority? What’s the risk to the people and businesses making the site their home? Could it be sold at some point? Without a doubt, the message from Telliskivi was that the role of the public sector is to step out of the way and let entrepreneurs do their thing. This is a lot harder than it sounds in a number of countries across the EU. 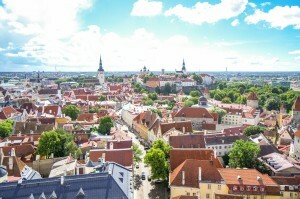 The lighter touch governance model of Estonia is hard to replicate, and cities have minimal control on a local level around regulation and legislation. What can cities do to help create these places and spaces for creativity and digital growth? This fed into many discussions between the European cities in the TechTown network about creating the conditions for a successful ‘ecosystem’ to flourish. It would be fair to say that partners felt a key takeaway was to increase the role of the private sector and ensure companies are well engaged; how much impact a city can have on the style of governance and creating the right conditions still warrants more discussion! 3. TechTown Lesson alert: The private sector will identify and pick up opportunities – create a place to take risks and keep the entrepreneurs away from all but essential governance to empower them to take ownership and responsibility at their own risk. Outside of the city centre, Tehnopol, Tallinn’s Science Park is home to more than 200 technology businesses and is part of the Tallinn Technical University. Here we were hosted by Kairi Sülla, Greentech Sector Manager who brought together an excellent group of smart product companies to speak to us and represent Tallinn’s smart city cluster. The digital solutions they presented ranged from IoT-connected bike racks and smart street light control to the management of large numbers of people on public transport and at tourist destinations. For anyone who is thinking about visiting Tallinn as a tourist, you can explore the Medieval Old Town, a UNESCO heritage site, in advance in 3D! Tallinn was proving a fascinating place but it was essential that, as well as absorbing the experience and knowledge, our cities got their hands ‘digitally dirty’ and started to apply some of the knowledge they were accumulating to their local challenges. 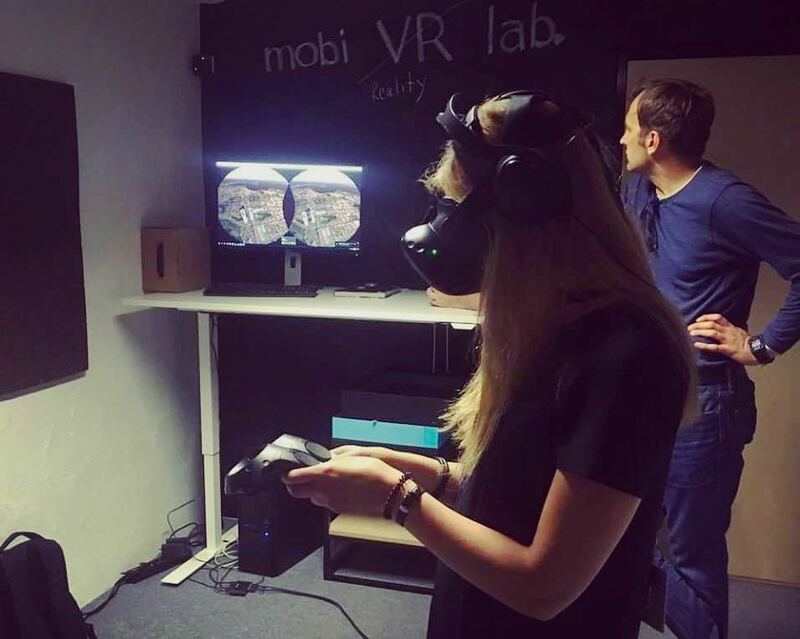 Back in November 2016, when Tracey, Ceri and Nicola from Barnsley (UK), (TechTown Lead Partner), conducted a scoping trip to Tallinn to start planning the study visit, one place really stood out as somewhere important to take partners; Mektory. This is part of the Tallinn Technical University and is a space that is hard to describe in just words. A welcoming and accessible team support a hugely innovative space for startups, events, young people and much more. The building isn’t anything out of the ordinary save for the bold splashes of yellow but the team have created a space that is open and well engaged not just at EU level but worldwide. Meeting spaces and rooms sponsored by other countries; maps of the world for you to write your city name on; a spot on the floor to have a hug – all of these small parts added up to an incredibly positive whole. 4. 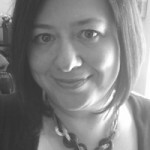 TechTown Learning alert: Design matters. This also came through from the Barnsley TechTown event in March. How a space is configured, how it looks and feels, is crucial to a functional environment. Mektory is cleverly designed to make great spaces out of small budgets and creates an engaging place to spend time and have ideas! It feels very ‘local’ but also ‘global’ thanks to engaging with other places so actively. At the end of the study visit our task was to consider how best to take everything #TeamTechTown had experienced and learned and apply it quickly and effectively at local level in each partner city. A swift game of ‘what did you learn’ dominoes showed just how much everyone had got from the visit so far; applying this needed a new tool! “Ecosystem in a box” was a phrase first coined by Laura Bennett within TechTown back in Limerick in September 2016 as an example of a way to think about the components of a successful ecosystem. It’s both a methodology and a contradiction. We spend a lot of time in TechTown asserting that you can’t ‘create’ an ecosystem but despite that, #TeamTechTown arrived with a heavy load of craft materials from plasticine to pipe cleaners ready to go against everything we’ve said and start building! Joking aside – this exercise provided a great way for partners who have been on a steep learning curve about the tech economy to start to crystallise what all of the things we’ve discussed could actually mean for their cities. But don’t just take my word for it – check out their videos and get a glimpse of Europe’s digital future! So, half way through the URBACT Action Planning Network cycle and our cities are all making huge progress on growing digital jobs and businesses. The proof of concept and exemplars from Tallinn provided additional inspiration. Here’s to seeing some of the ecosystems breaking out of their boxes and becoming a reality. The study visit was co-organised by Toby Stone, leading tech entrepreneur and consultant to the Estonian government. Toby’s help was invaluable to making the visit as meaningful and smooth as possible.